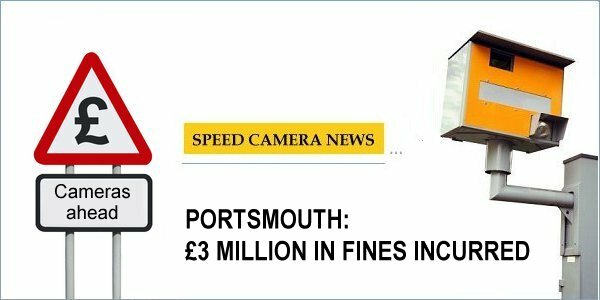 The number of drivers who were caught speeding in Portsmouth grew to more than 62,000 for 2010/2011 according to new figures, an increase of over one fifth from the year before. The figures, as reported on The News, showed that an increase of 21 percent had been recorded for those exceeding speed limits in the local area, incurring penalty costs of more than �3 million. Between April 2009 and March 2010, there were 51,747 drivers caught speeding in the coastal city, with this number growing to 62,768 for the same period in 2010/2011. Superintendent Chris Brown, who heads the roads policing unit, commented that "That 62,000 is a very, very small percentage of people who are out on the roads." Despite this comment, it is still evident from the comparison that the number of speeding motorists has increased substantially over the past year, leading to increased costs for the drivers involved. The �3 million bill, saw �1.6 million paid in speeding fines. The figure was subsequently matched in the amount spent on driver awareness training. Speeding drivers were caught out by mobile speed cameras - with fixed cameras having been turned off last year due to a removal of council funding. This latest news could help a number of ongoing campaigns which hope to reinstate the cameras, providing evidence, in their opinion, for why they are needed. The local police service are said to be in discussions with Portsmouth City Council to offer a proposed re-introduction of fixed cameras. I very much doubt there has been an increase in speeding motorists, just an increase in detection; and that's simply because mobile cameras are harder to spot (and react to) than fixed ones. I guess if you move the goalposts, then you can justify anything. I'm not sure when and how fast the city-wide 20mph limit went in in Portsmouth, but could that have something to do with it? People could be driving at exactly the same speed as before, but now they can be branded as dangerous and potential killers by the likes of BRAKE, when in essence nothing has changed. Maybe we should have the full stats. has the accident rate gone up?